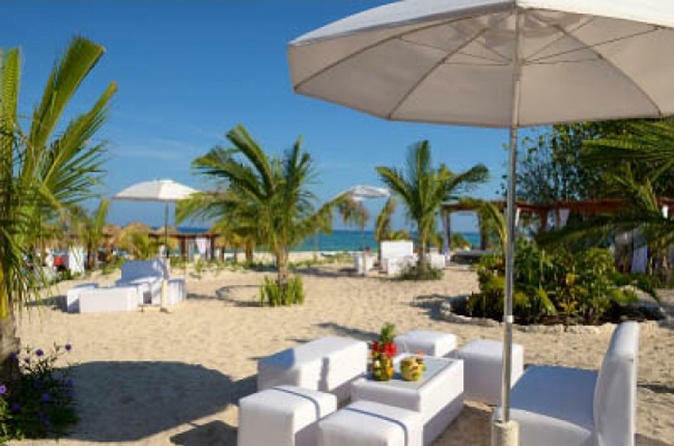 Enjoy an exclusive all-you-can eat and all-you-can-drink experience at Mr. Sancho's Beach Club in Cozumel. Your all-inclusive pass gives you access to the best service, great food, drinks all at the same place. Get up close and underwater with dolphins at Dolphin Discovery on Cozumel! Choose from two dolphin programs plus a sea lion show and snorkeling in the Caribbean, with all-day access to Chankanaab National Park. Snorkel with dolphins and enjoy a belly ride on a Dolphin Swim Adventure. Or, choose the Dolphin Royal Swim and experience the thrill of a ‘dorsal tow’ plus a ‘foot push’ as dolphins raise you above the water’s surface by your feet. Each family-friendly program includes a hug, a handshake and a dolphin kiss! 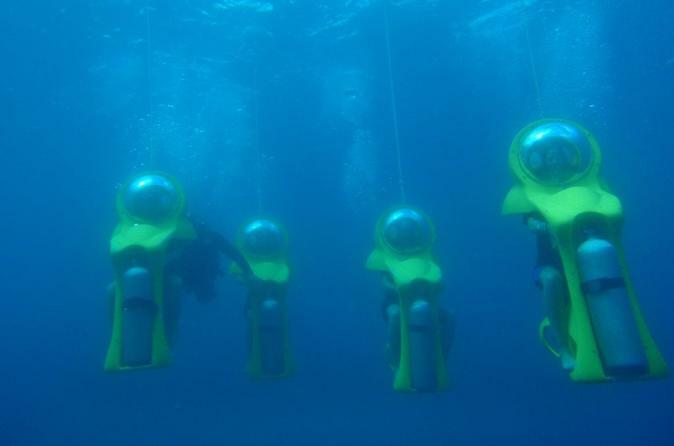 Explore Cozumel’s marine life while driving your personal mini-SUB! Make the most of your time in port on this shore excursion from Cozumel and discover the underwater world of the Caribbean. Admire Cozumel’s vibrant tropical fish and coral. No diving certification or experience is necessary to enjoy this underwater adventure! 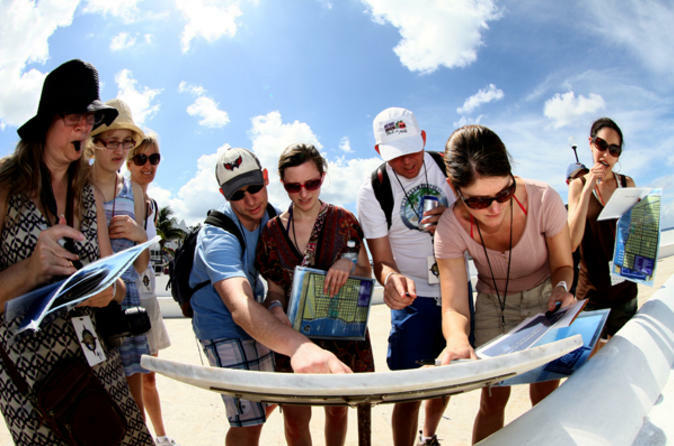 Team up with fellow competitors in a fun game of an amazing race on the island of Cozumel. This interactive, clue-based adventure game is part scavenger hunt, part sightseeing tour. Players sign up in teams of two to eight, who together solve a mystery at each self-guided stop. Your small-group tour includes a brief (but optional) plunge into the sea for a fun snorkeling adventure. Perfect for the sole traveler, couples or families, this game is a great way to discover Cozumel! Meat-stuffed empanadas, shrimp tacos and sweet Mexican pastries are on the menu for this 3-hour culinary tour of Cozumel. 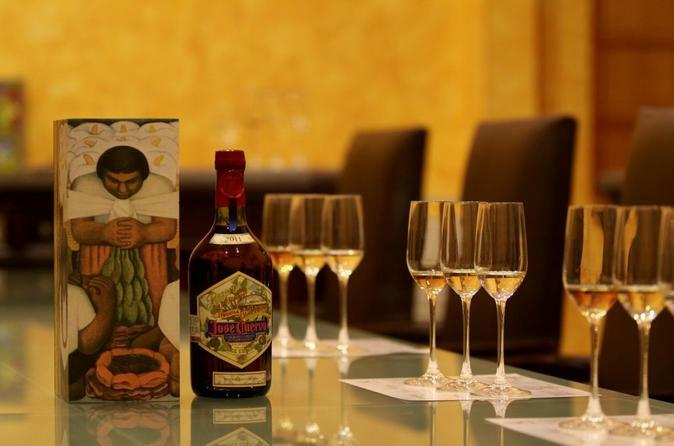 Located off the coast of Playa del Carmen, the island is actually closer to Cuba than it is the Mexican capital, giving its cuisine some Caribbean flair. 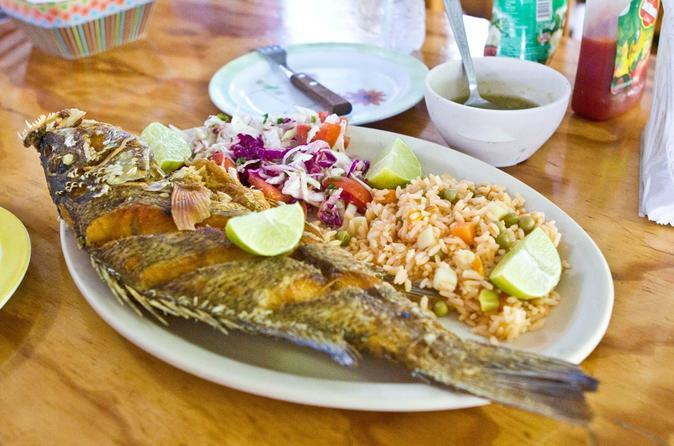 Get a taste of it with the help of a savvy guide who leads you to five local hotspots for samples of classic Yucatecan food, cerveza and agua fresca. Round-trip transportation from downtown is included on this small-group tour, limited to eight people. Dive to depths of 100 feet (30 meters) in a submarine, piloted by a professional and licensed crew. Discover why Cozumel is one of the top dive destinations in the world on board the Atlantis Submarine! Make an underwater journey to Chankanaab, an environmentally protected marine park, home to amazing coral formations and a variety of marine animals. 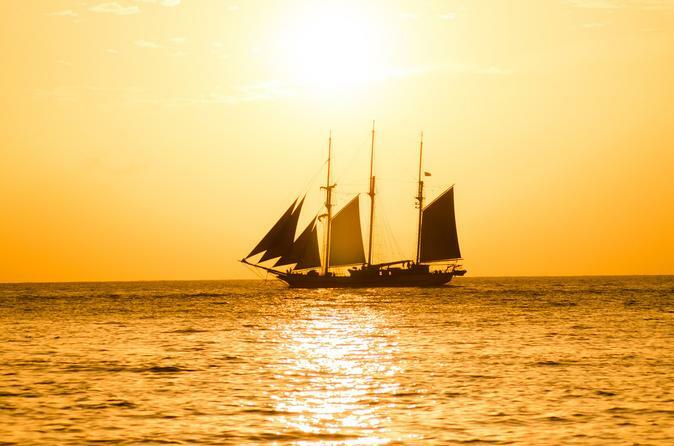 Experience the tranquility of Cozumel while sailing on an Old Spanish Galleon, indulging in a delicious lobster, steak or chicken dinner and plenty of margaritas! This is a perfect way to spend a relaxing, romantic evening while in Cozumel! Visit Chichen Itza — one of the most important Mayan sites in Mexico — on this full-day trip from Cozumel. 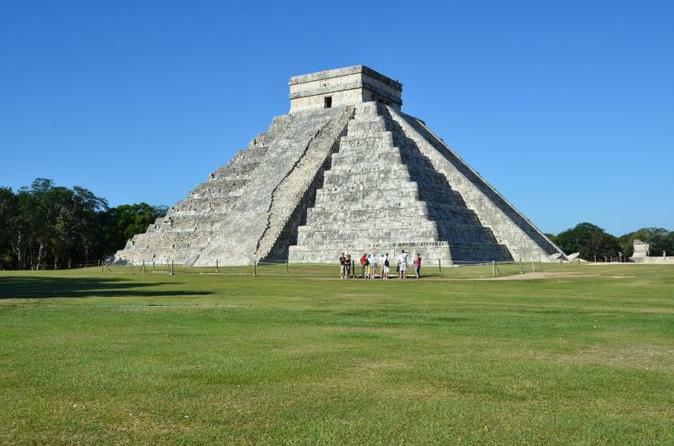 With a knowledgeable guide, travel by deluxe van from the Caribbean coast inland to Chichen Itza, where you’ll take a 2-hour guided tour of its World Heritage-listed temples and other structures, including its most famous pyramid, El Castillo. Then enjoy free time at the adjacent Mayaland Hotel, where the swimming pools and lush gardens are at your disposal. A 5-course gourmet lunch with beer and wine is included. 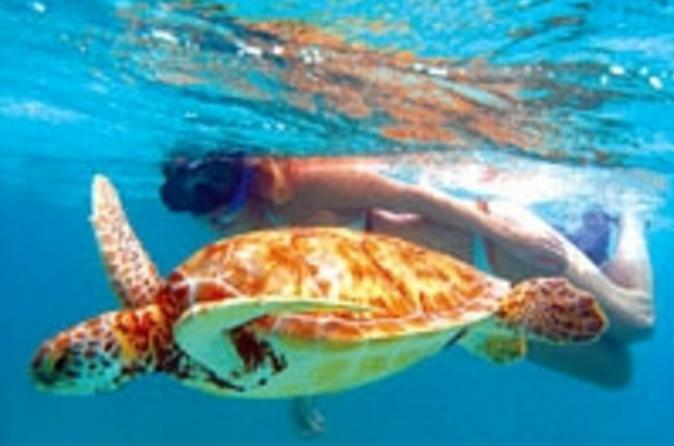 Take part in a once-in-a-lifetime opportunity to snorkel with green sea turtles in the open waters of Akumal Bay. Hop on a ferry to Playa del Carmen from Cozumel and spend the day visiting the pristine beauty of the Riviera Maya. Open bar, buffet-style lunch and snorkeling equipment is all included!